Incredibly powerful and flexible, with masses of articulations and effects and vast sonic capabilities. Superb quality recordings. Highly detailed multiple articulations, especially in the Strings. Multiple microphone position that add depth and realism. Expensive - and will likely demand some hardware investment, too. EastWest has gone all out with its Orchestra Diamond Edition to provide highly usable and detailed sample sets with the advantage of multiple microphone positions and many different articulations. Each of these comprehensive sample sets runs in the EastWest Play engine. 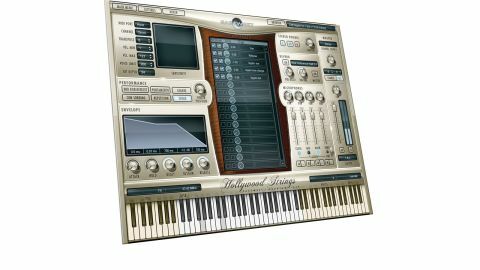 While this may lack some of the extreme control aspects of sample players such as Kontakt, it does give a uniform interface to each set and allows quick and intuitive manipulations of the sounds available and the mixing of mic positions, reverbs and related articulations. A lot of attention has gone into the programming of dynamic layers and articulations within sample sets. "The room sound of EastWest's studio 1 is excellent. We found ourself not wanting to add any reverb "
So when, for example, you want to try a part played on one instrument by another, it's a simple matter of loading the sound and the MIDI will give you the same dynamic and articulations without having to mess around with velocities or CC numbers - particularly useful when you want to double a violin line with cellos two octaves down or, say, try a flute part on an oboe. To get the optimum from the Diamond collections you need to have a powerful system. These sounds need, at a minimum, a 7200rpm internal drive and 4GB of RAM to run from, and it is recommended that if you want multiple mic positions and to be able to run many instruments simultaneously, you have 16GB RAM or more and stream the samples from SSDs. The sounds themselves are superb, having been recorded by Shawn Murphy, a hugely successful film scoring engineer, and produced by a group of highly experienced Hollywood scoring experts. All instruments have been recorded with five different mic positions simultaneously with close, intermediate, main, surround and vintage RCA ribbons. Each microphone position can be loaded separately so it is possible to mix between them to place each part of the orchestra exactly where you want it; the added depth of field this gives provides an extra layer of realism. The close mics allow you to bring forward solo instruments just as if you had spotted them during a recording and the room sound of EastWest's studio 1 is excellent. We found ourself not wanting to add any reverb on many of the passages we tried them on. There are articulations aplenty, especially in the strings. There are slurred, portamento and bow changes for the legato sections and multiple key switch options so it is very simple to program complex lines without having to switch patches and MIDI channels. Legato patches across the strings, brass and woods all use the mod wheel to control dynamics, so it is even possible to quickly double lines across instrument groups with the right dynamics (say a Cello line doubled by French Horns) by copying a MIDI part. "If you are looking for the best in orchestral sampling you would be very unwise to overlook them"
The brass sounds available go from soft and warm portato patches to blaring sustains and staccatos. There is a great cross section of instruments available and again articulations aplenty. Beyond the normal dynamics and articulations there are plenty of FX patches that give falls, clusters and other brass exclusive effects. The woodwinds are the same. From bass flute and clarinet right through to piccolo with all the usual articulations and styles through to flutter tongue techniques and lots of multi-dynamic runs, it is possible to build up incredibly realistic wind parts quickly. Finally comes the Percussion section. Listen to any big Hollywood score and it's often the percussion that adds the final dramatic touch. EastWest provide you with a broad palette of sounds capable of delivering subtle distant metals, full-on hammering timpani, and beyond. The breadth of tonal colours is excellent. Aside from the usual bass drums, timps, snares and cymbals there are anvils, orchestral bells and even a Mahler hammer. The tuned percussion section includes celesta, vibraphone, glockenspiel and marimba, as well as crotales and many more. There are multiple rolls, crescendos and hits with almost every instrument and the round robin samples mean that even on fast passages there is always a great sense of realism and dynamic. We have used the Gold version of these instruments for a while now and have always appreciated the sheer number of articulations and their ability to add realism to my scores. These Diamond versions with their multiple mic positions add an extra layer to that realism by providing remarkable depth of field to all the instruments available. While they do require a more powerful system and some extra investment in hardware to get the best from them, they are truly worth the extra expense. If you are looking for the best in orchestral sampling you would be very unwise to overlook them. Excellent stuff.